Three central Maine women who met at the gym may have retired, but they never stopped working or enjoying each other's company as they made a clean getaway from their previous lives, writes Amy Calder. 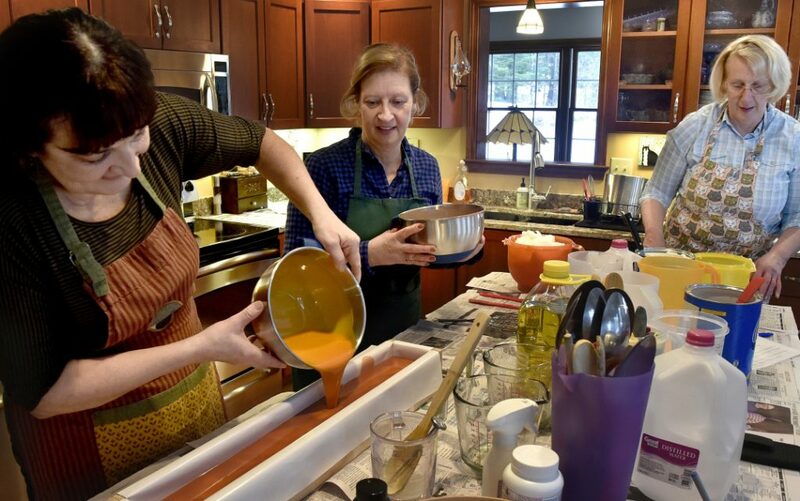 Susan Tuthill’s Vassalboro kitchen is like a manufacturing center: counters dotted with pots, pans, pitchers, mixing bowls and containers of colored concoctions lined up beside the sink. But Tuthill and her friends, Terry Hiltz and Cindy Scott, are not baking cookies. They are making bars of soap — thousands of them. There’s apple jack, tea tree, eucalyptus, lemon grass, raspberry, lemon mint tea, fir needle, lavender and oatmeal, milk and honey among other flavors. The scents waft through the large house, right down to the cellar where hundreds of bars of multi-colored soaps, body butters and salt scrubs are lined up on tables, curing and waiting to be wrapped with clear plastic and labeled. “We made four batches yesterday, and we’re going to bring it up to the kitchen and cut it,” Tuthill, 64, said. The retired women are partners in a small business, Forever Clean Soap, which took off last year after they started experimenting with soap-making more than two years ago. While they were learning, they gave the soap to their friends as gifts. Over many months, they perfected their craft and now sell at craft fairs. Their products also are sold online and in shops such as Maine Made & More in Waterville. In the kitchen, the women wear aprons, rubber gloves and safety glasses as they mix olive and coconut oils, distilled water, vegetable shortening, lye and other materials, including scents to make the soap. Scales, measuring cups, thermometers and freezer paper also are tools of the trade. “It’s fun,” said Scott, 63, of Waterville, as she washed dishes in the sink. 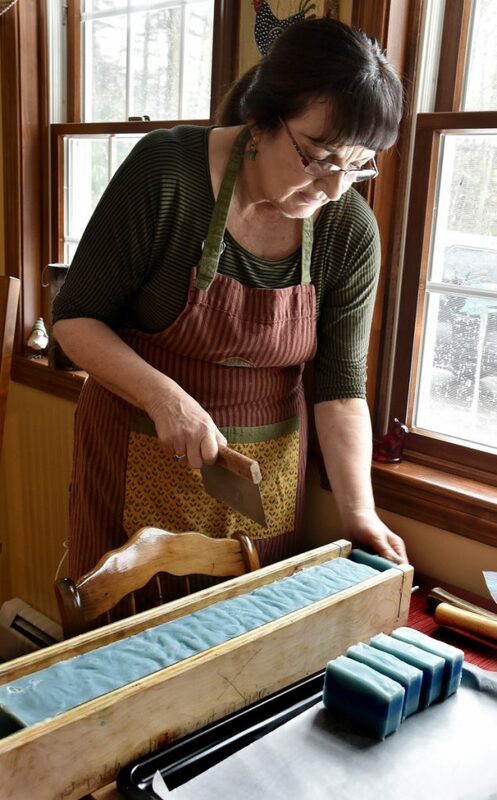 Hiltz, her sister, was pouring thick, colored liquid soap in a rectangular wooden mold before adding an alternate color. 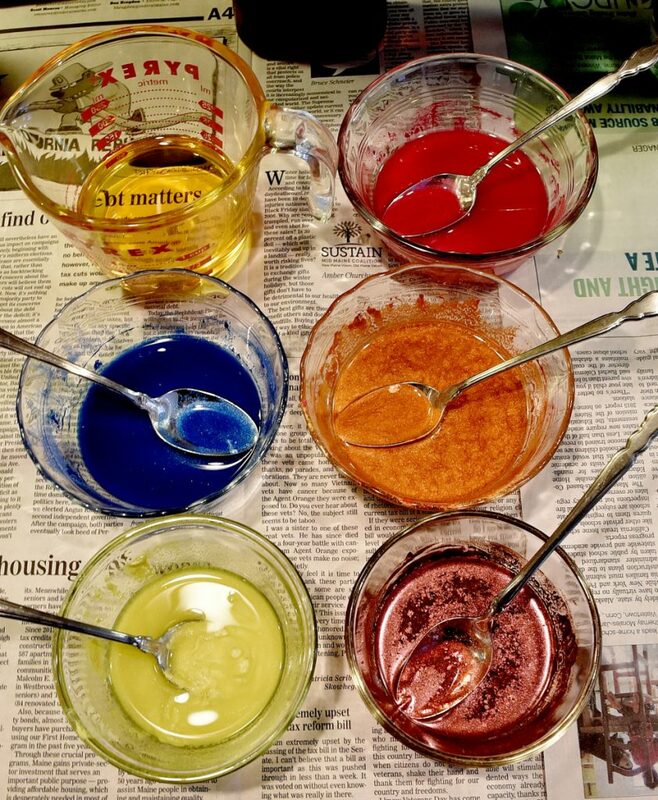 Tuthill prepared to swirl the colors with a small metal whisk. 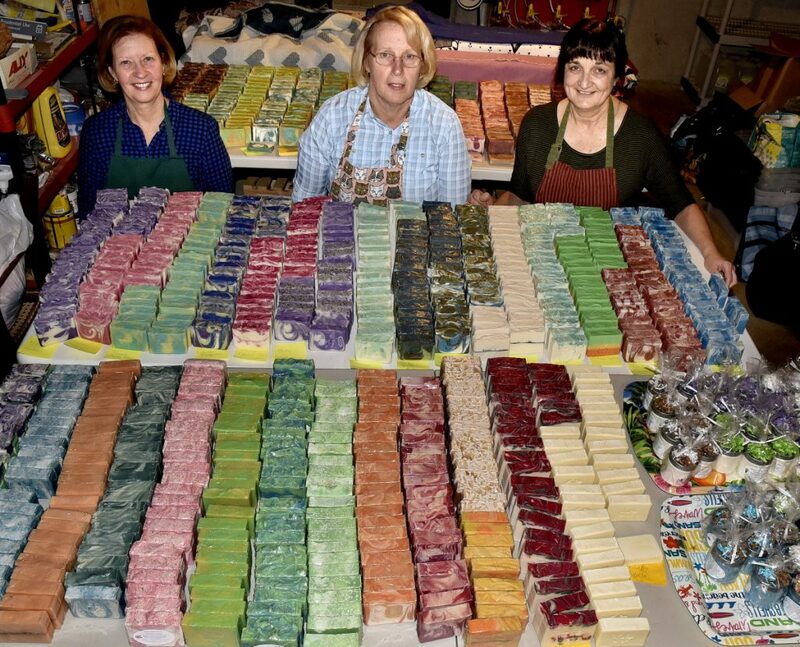 “Hanging out together is definitely huge, but it is cool to smell the soap once we put the scent in and then also see the colors,” Hiltz, 64, of Fairfield, said. They laugh, talk about their husbands, and discuss summer plans as they maneuver through the kitchen like a well-oiled machine, each doing a separate task and then coming together to pour, cover and carry the full molds to the basement to set for 24 hours. They carry them back up to the kitchen the following day where they cut the bars, stamp and bevel them. 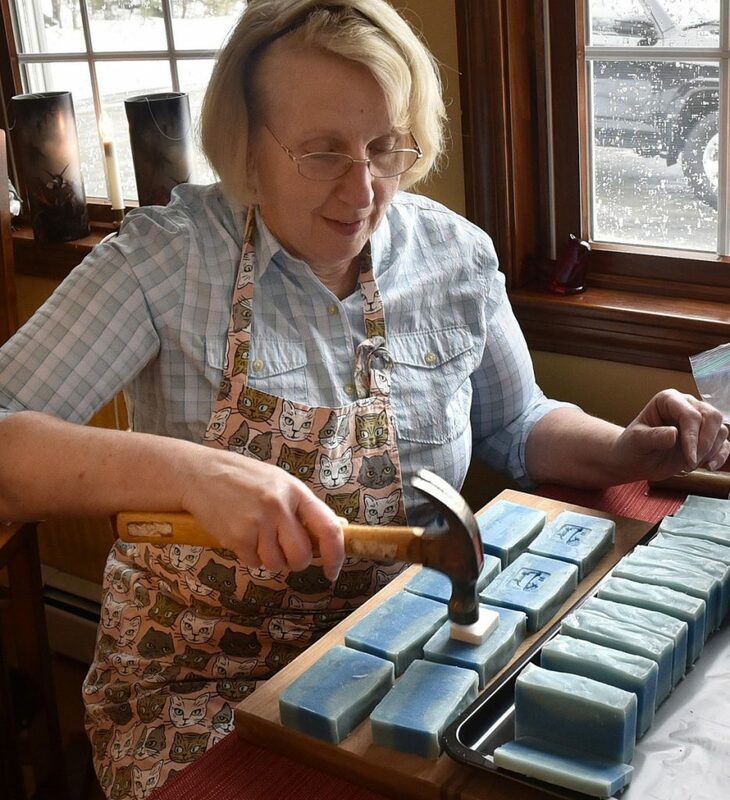 “The soap has to sit for a month before it can be wrapped or sold or used,” Tuthill said. The women know each other well, having met at the former Gilly’s Gym in Waterville some 16 years ago where they became friends and started walking, hiking and biking together. Since Gilly’s closed, they have been working out at Champions Fitness Club, also in Waterville. All three have grown children. Tuthill was guidance director at Waterville Senior High School for more than 20 years before becoming adult education director. Scott was a longtime manager at McDonald’s restaurant. Hiltz taught for 42 years, the final 23 at Clinton Elementary School. She also ran a nursery school for 10 years. Over the years, whenever they traveled, they’d buy each other soap as gifts. “One day, we just said, ‘You know what? We ought to make soap,'” Tuthill recalled. They started buying soap-making materials and delved into the process, learning from mistakes and perfecting the craft. They also began traveling together to places such as England, Ireland and the Grand Canyon where they spent two days at Phantom Ranch and hiked back out of the canyon before moving on to Utah. In England, they hiked 84 miles on Hadrian’s Wall Path. Their husbands caught the bug and the couples took a trip to Alaska. Tuthill, Hiltz and Scott are preparing for this year’s craft fair circuit, which is quite competitive, they said. They have sold at the Machias Blueberry Festival and fairs in Bethel, Sunday River, Lewiston, Wells and other places. Their products are sold at shops on the coast and are available from their website, forevercleansoap.com. They will deliver to local customers. As they prepare to cut bars of a new soap called “Cool Water for Men,” they pull the hardened mixture out of a mold holding the ends of the freezer paper and then peel the paper off the soap. Tuthill cuts the bars using a sharp slicer and lifts a soap bar in the air, revealing the three layers of blue hues. “I love it. Oh, I just love it,” Hiltz says. They recall the days they neared retirement and talked about what they would do once they left their jobs. They never dreamed they’d be partners in a soap business. “I think we were ready to stop doing what we were doing, but not stop working,” Tuthill said. 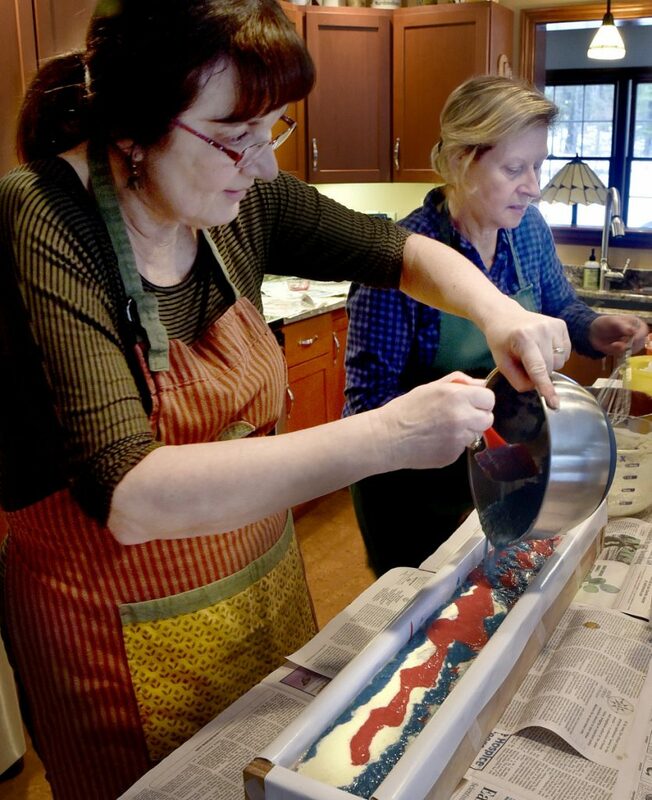 They knew they wanted to stay busy after retirement, as they love being active and creating. Sitting around was not an option — or a desire. “The thought of doing nothing … Ohhhhh!” Scott said. 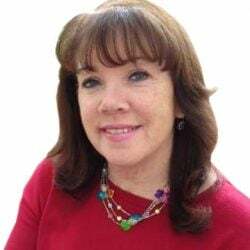 Amy Calder has been a Morning Sentinel reporter for 30 years. Her column appears here Mondays. She may be reached at [email protected]. For previous Reporting Aside columns, go to centralmaine.com.